This Unusual Satinwood Victorian Jardinière / Side Table dates from ca. 1900 and is of high quality. 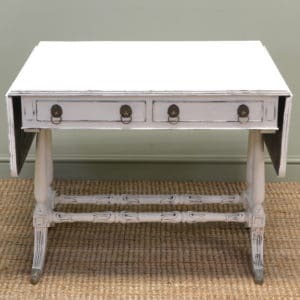 It has a beautifully figured, inlaid top with canted corners and moulded edges. 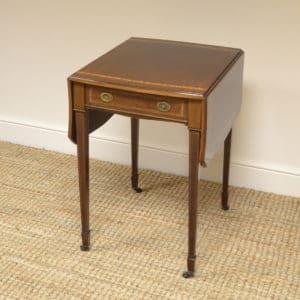 It stands on an elegant turned pedestal with fine inlay above out-swept splayed legs. 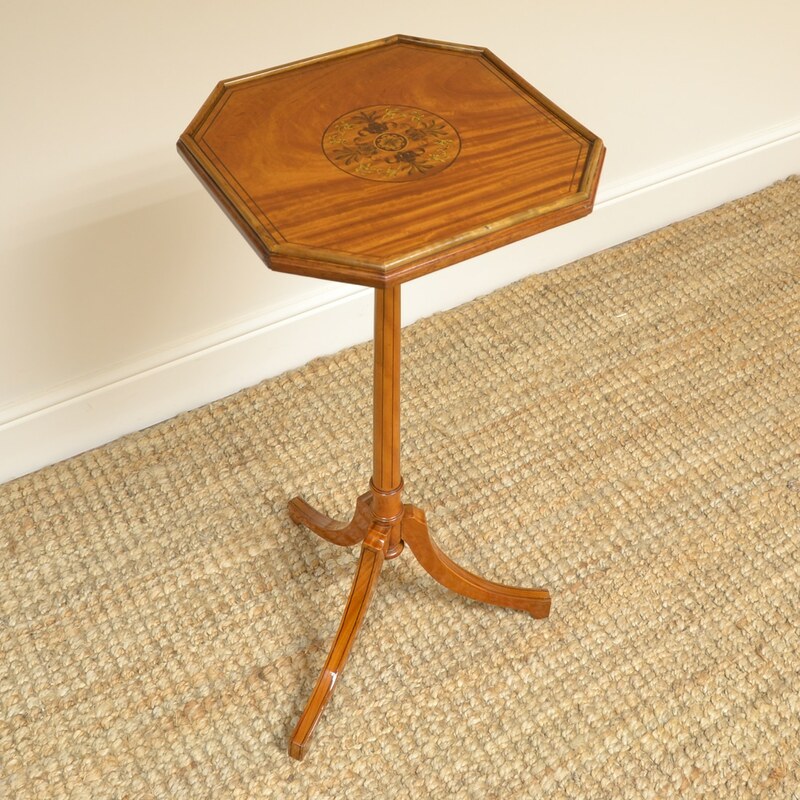 This Unusual Satinwood Victorian Jardinière / Side Table dates from ca. 1900 and is of high quality. 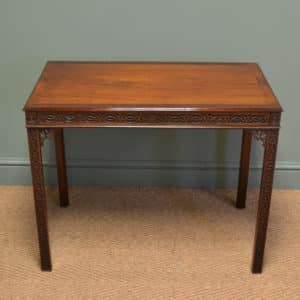 It has a beautifully figured, inlaid top with canted corners and moulded edges. 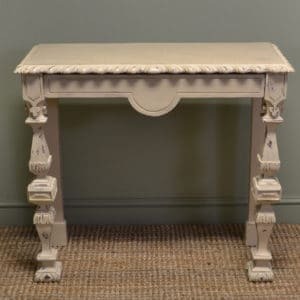 It stands on an elegant turned pedestal with fine inlay above out-swept splayed legs. 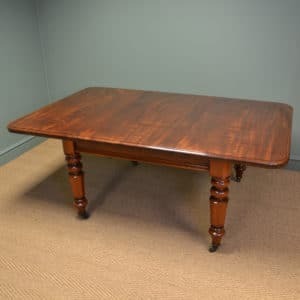 This beautiful table has aged to a golden Satinwood shade with a striking grain, good patina, is in very good condition and has been beautifully cleaned using a traditional form of wax finishing.